Valentine’s day is tomorrow and I wanted to give you a romantic appetizer option if you are dining at home. These Stuffed Caprese Tomatoes are red, easy, and tasty enough to be found at your nearest Italian restaurant. They are also figure friendly, as long as you don’t eat them all yourself. There is something to be said for the simplicity and gourmet taste of fresh ingredients. I just stopped by the store and picked up these small tomatoes, fresh mozzarella, and I was going to get some fresh basil but they were all out. I started to panic a little, but hiccups happen in everyone’s lives. I just used some basil from my spice cabinet. While it isn’t quite as fancy as I had hoped the taste is out of this world. Surprise your Valentine tomorrow with this great appetizer! 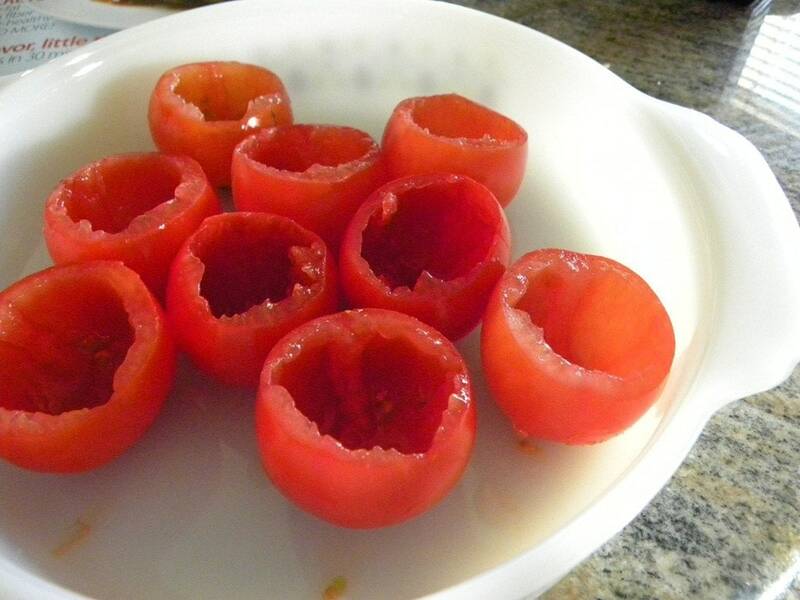 Cut the tops off of the tomatoes and with a spoon scoop out the seeds and the insides. 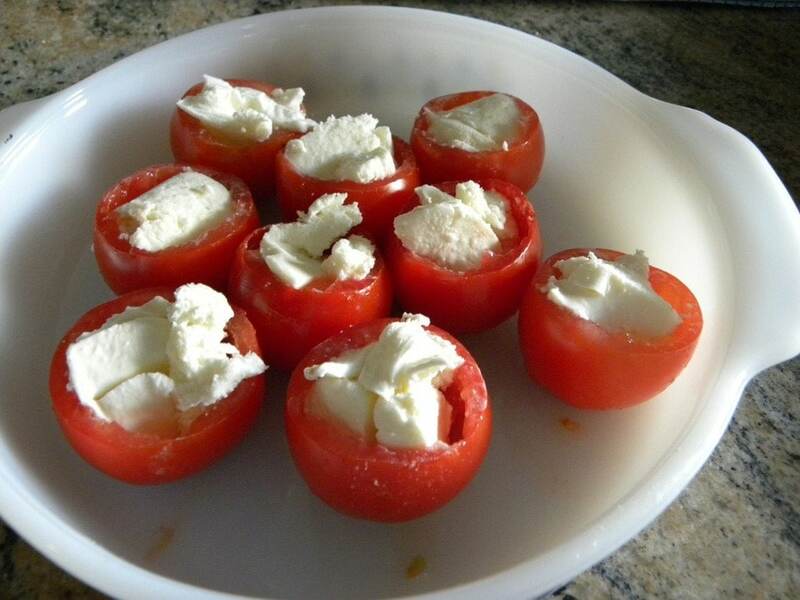 Spoon 1 -1 1/2 TBSP fresh Mozzarella cheese into each tomato and place them in a baking dish. Place under broiler for about 5 minutes until cheese is melted and bubbly. Remove and drizzle with balsamic Vinegar and top with a sprig of basil. Spoon out the insides of the tomatoes. 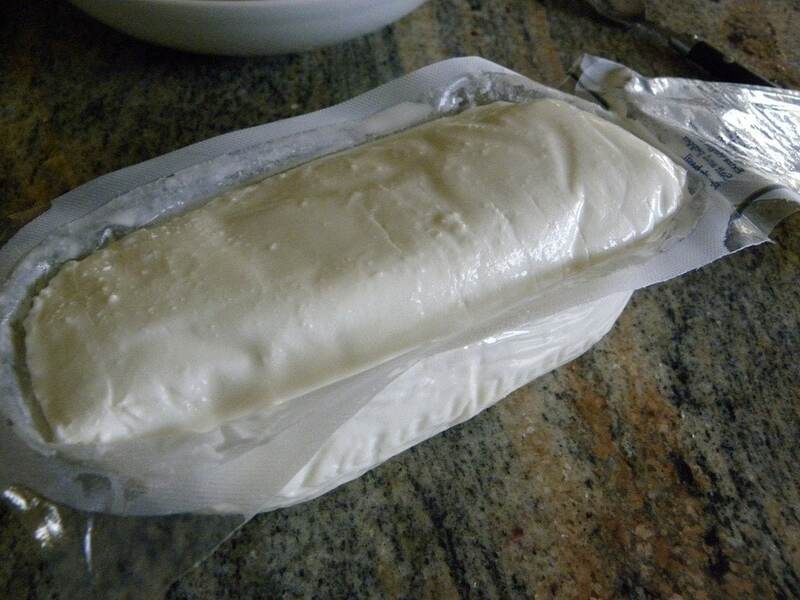 Just incase you haven’t seen it this is fresh mozzarella. You will also see it in balls in the cheese section. 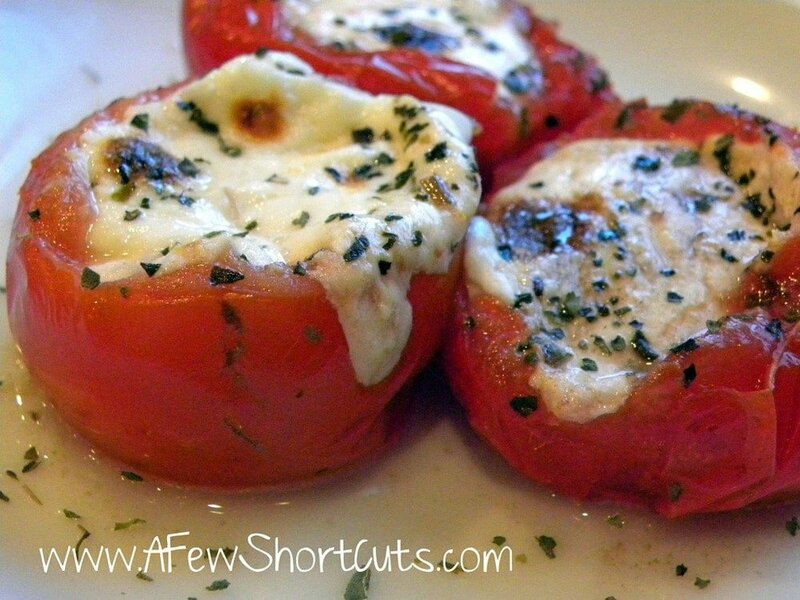 Spoon it into the tomatoes and place them under the broiler for 5 minutes. When you remove them sprinkle with balsamic vinegar, and top with basil. Serve immediately! This looks perfect for tomorrows dinner, as fresh homegrown tomatoes are here! Yahoo!!!! !